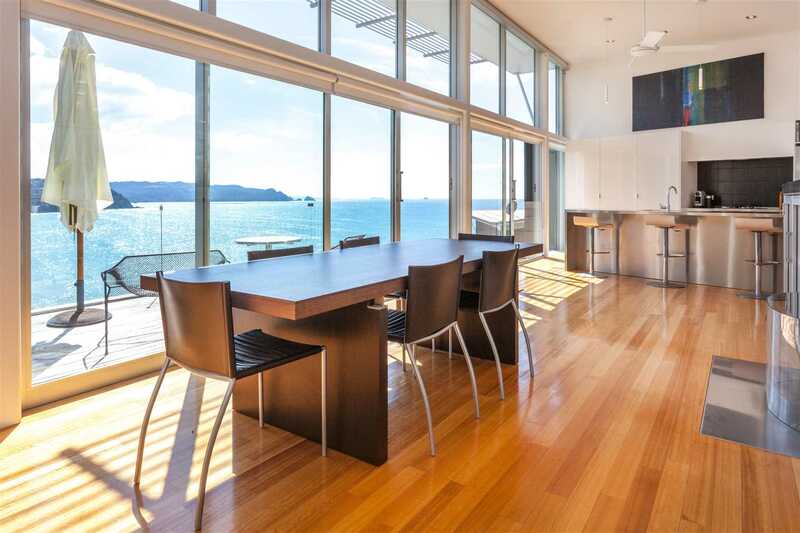 A Simon Carnachan designed waterfront home with uninterrupted views north over Tairua Beach and out to the Mercury Islands. Located down a driveway, the home is very private. Spanning 2 levels, the home has a large open plan living area on the entry level and 3 bedrooms on the lower level, all rooms with ocean views. A plus-size single garage adjoins the large covered entertainment area with an open fireplace - a lovely feature with the ambiance of an open breeze way. Direct beach access via a walkway.